You got us, Noel Fisher. You got us right in the heart. It’s been quite a season for Fisher, who portrays Mickey Milkovich on the vastly underrated Shameless. 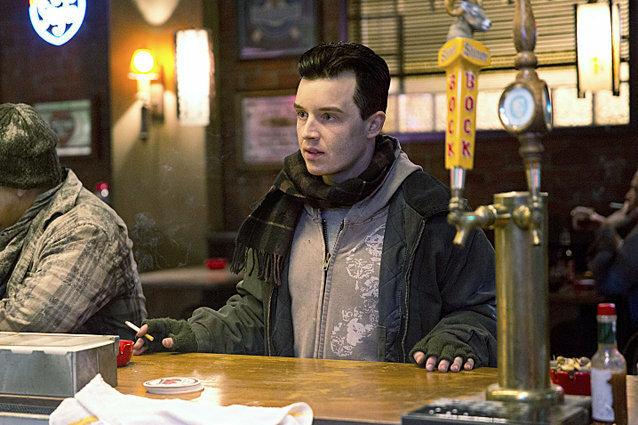 Over the past several weeks, we saw Mickey and Ian’s relationship take center stage, offering quite an evolution for Fisher’s character. He has taken Mickey from ultra-closeted thug to the man in the most fiercely committed relationship on the show. There’s no denying the magnitude of his series arc – his Season 4 story alone is nothing to sneeze at. The audience was in Mickey’s thrall from the moment he first butted heads with his Russian prostitute wife and began not-so-subtly pining for Ian. We drew in further once Ian was back on the scene: fans cheered when Mickey finally relented on his self-hate enough to admit that he and Ian were together. His coming out brawl was even better – Mickey regaling his father with details from his love life, all while the pair was handcuffed on the hoods of adjacent police cars, was a scene for the ages. In fact, the scene was only topped by the ensuing head-kiss/profane banter with Ian, which was plentiful in “aww” factor. And to think this time last season, he was brutally beating Ian to a pulp. That’s some character development, y’all. Shameless is a show of highs and lows. Of juxtaposition – more specifically, of how much awfulness you can temper with just a little sweetness. And Fisher’s Mickey has become the embodiment of that contrast that the show has so carefully created. It’s not a balance easily maintained, but Fisher does it masterfully. It’s generally the big stars like William H. Macy and Joan Cusack that tend to pick up the accolades, but Fisher has more than earned his place among the greats: his Mickey is fascinating, from everything from what has become an endearing capacity for violence and foul language, right down to the way he haphazardly swings his arms as he walks. We can’t wait to see how he weathers Ian’s bipolar disorder in Season 5.